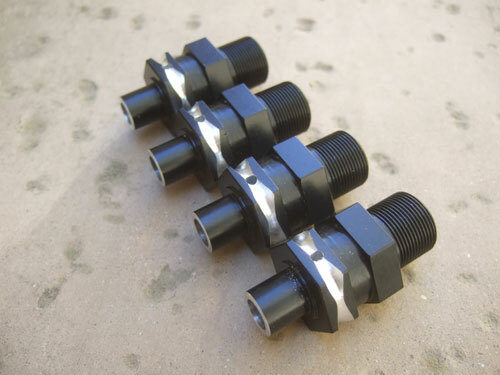 I am very happy with how the steel 23mm hex with the 3mm axle pin. The pins and hex never broke and is still very solid. 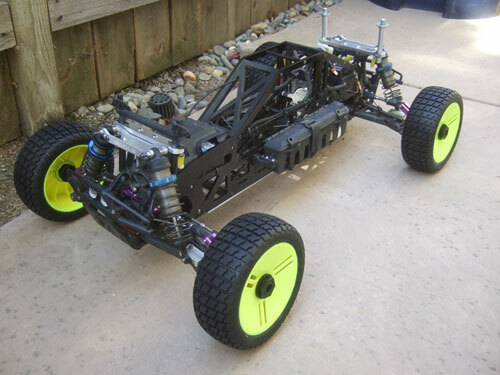 The Savage XL extended axles did pretty well too, I was expecting it to bent or break because the extended length. But instead the cup wore out first. 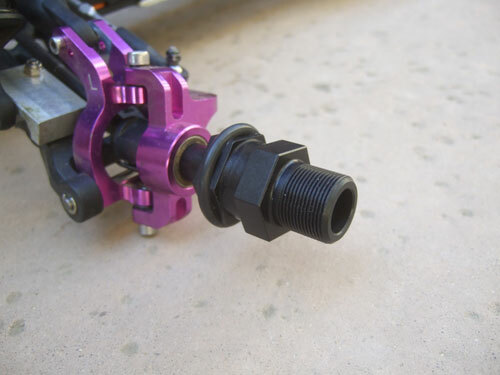 Right below the 23mm hex is the DarkSoul wheel extender (fronts) from a Baja 5T. 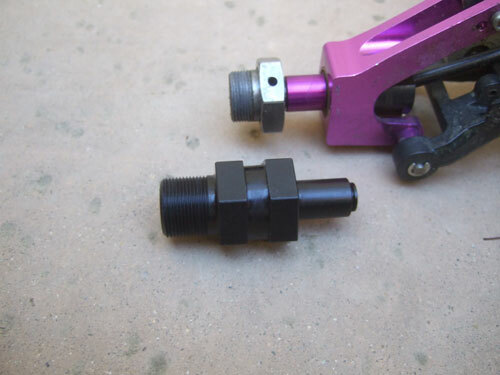 First thing I did is shorten the DS extender a little, then too a 8mm drill bit to enlarge the center hole so it will fit over the Savage 8mm axle. 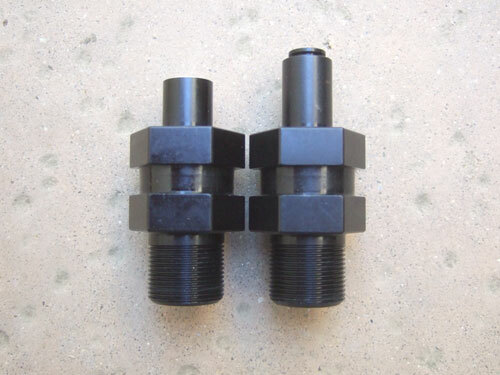 Here is a before and after shot of the DS extenders. In order to keep the axle pin in place I cut a grove over the pin so I can wrap a O-ring on to of it. Here are all 4 DS extenders finished. 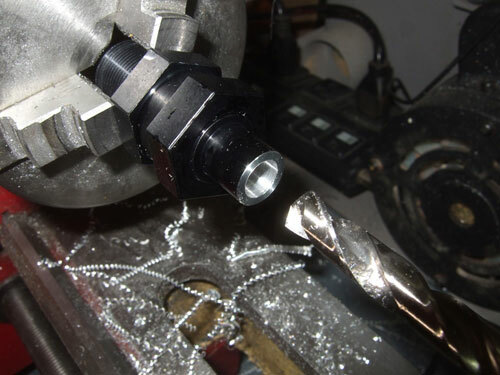 The hardest part of this process is drilling the cross pin for the axle perfectly. A top view of the Flux 5T with the extenders installed. A better view of the DS extenders. 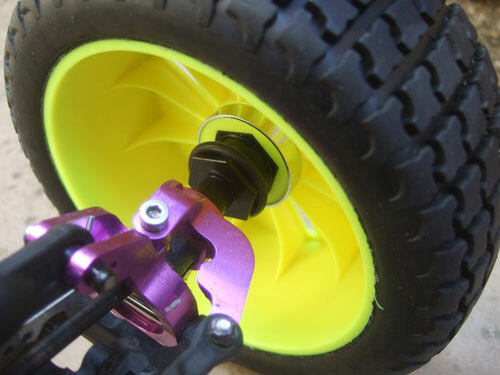 To keep the wheels as light as possible I picked up a set of GRP "easy" front Baja 5B tires, because they should be lighter than any of the Baja beadlock wheels. I was lucky to catch a deal on this tire on hpibaja.com for $60 shipped and they are brand new too. They usually run $120 plus shipping. I guess the only main draw back is the ugly yellow color, but for $60 I would did it again. A better view of the DS extenders with the wheels mounted.